We have looked at the artwork of Simone Bianchi once after his first issue of Astonishing X-Men hit the stands and again when he did a stint on Wolverine (and we looked at some of his older sketches and artwork). Today we look at more work from Bianchi’s time on Astonishing X-Men, spotlighting Storm, of course. Of the sixteen images (!) in this post, Storm is in all of them. Enjoy! Above, pencils from Astonishing X-Men #29 featuring Storm and Emma Frost. Bianchi’s pencils are beautiful and I cannot help but think that something inherently delicate and delightful becomes diminished whenever his work is inked and colored. The gradation of his lines simply cannot be reproduced in simple black and white ink. His redesign of Storm is intricate and interesting, but could benefit from some editorial assistance. There’s simply too many things going on. What would I change? All of those gothic black and white lines around her arms, throat, boots and at her crotch. I do like the tiara redesign, but I would have loved some explanation in the script for why it floats distended in front of her face. Emma Frost and Storm work it out against a foe in Astonishing X-Men #29. I love Storm’s stance in this splash page and her hair looks amazing. Unfortunately, what works for Storm does not work as well for Emma. Storm’s hair should resemble cloud-like formations, but the same rendering for Ms. Frost just comes across as really messy bed hair. It was awesome to see Storm help protect Emma without her powers in this story. The whole team of Astonishing X-Men attacks (except Nightcrawler and Colossus really weren’t a part of this title, like ever when he was drawing it). I bought a lithograph of this image in San Diego in 2008 and it is a beautiful addition to my favorite art. I love how everyone looks in this image, except for Emma. She looks a bit possessed to me. This X-Men Premiere Cover by Bianchi was meant to be a series of interlocking covers for the series, but it is my understanding that it was never used. That is a shame as i find this image to be quite beautiful, especially with the Golden Gate Bridge in the background. Storm’s tiara is incorporated into the design of the page and I adore it! Emma looks simply ravishing in the lower right corner as well! Kudos, Mr. Bianchi! Storm and Emma shine in Astonishing X-Men #28, and this page highlights Bianchi’s use of design (look at that architecture in the bottom right panel). I find the striped crotch panel to be extremely distracting but other than that, I love the overall look of this page. Bianchi draws Storm in her Jim Lee designed costume, but cannot help but embellish her cape with design elements he would later use for his redesign. The energy effect around her hair and from her hands is gorgeous, adding light to the entire piece. Storm drops in on Wolverine in #51 of his series (That’s Sabretooth in the lower left corner). Bianchi takes license with Storm’s tiara and gives her cape a volume that is usually reserved for interior decorating, but overall she has a sense of grandiosity and power. Simone Bianchi’s exclusive San Diego Comic Con 2010 print features Storm in full body and in facial profile. It is a lovely piece of artwork. This model sheet shows Bianchi’s overall designs from sketch beginnings to final design. Too many disparate design elements create quite a jarring effect. How much do those boots within smaller boots weigh, anyway? 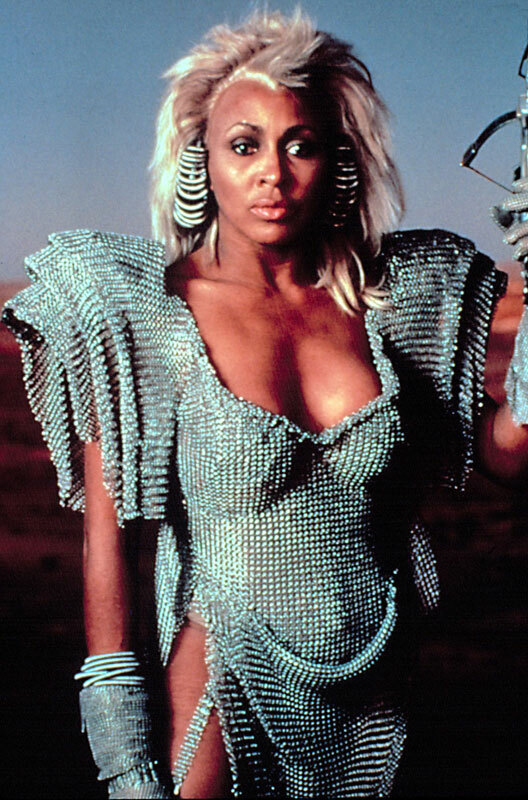 I see Mad Max Tina Turner more than I see Storm here, and even Tina’s costume gets points for staying minimal in regards to fabric choice and additions. I would have liked to see Bianchi create a more streamlined costume, something that makes sense for a high flier like our weather witch. Another Wolverine page featuring T’Challa and Storm. I have included it for the elegant depiction of Storm in the lower right corner. I find Storm’s eye mesmerizing. I think I often find myself enjoying Bianchi’s sketches more than the finished work. There’s so much elegance in the anatomy and composition. I never thought I would see Storm in cargo pants, but I am surprisingly okay with it. The whole gang is here in Astonishing X-Men #25 and Storm (and her floating tiara) feature prominently. I do love that Bianchi remembered that Storm is supposed to be tall! More geometric paneling from Astonishing X-Men #25. I wonder if Bianchi creates so much negative space on the page to balance his intricately rendered panels. Bianch draws a whole congregation of Marvel heroes! I included this piece because I find it interesting to see his version of the X-Men alongside the other Marvel superheroes (not something we got to see on his X-Men run). Thanks for reading today’s Storm Sunday and I hope you have a Happy Halloween!